(On DVD, January 2018) The culmination of the Man-with-no-name trilogy is spectacular, grandiose and … a bit too much. While the original film clocked in at 90 minutes, The Good the Bad and the Ugly takes thirty minutes before even introducing its three main characters. Painting with a far more ambitious brush, this instalment tackles war drama and a much grander scale, but somewhat confusingly goes back in time for a prequel. But who cares when Clint Eastwood is still iconic as the nameless “Good” protagonist, while Lee van Cleef still steals the show as the outright “Bad” protagonist, with Eli Wallach’s “Ugly” wildcard bouncing between the two. It’s the apotheosis of the Spaghetti Western genre, especially when Errico Morrcone’s iconic wah-wah-waaa theme kicks in. At the same time, it does feel like a lot. It’s fun to watch, but a certain ennui sets in when it becomes obvious that the film will not hurry from one set piece to another. Writer/director Sergio Leone’s style is a Leone-ish as it gets here, with careful editing and close-ups doing much of the work in creating suspense. 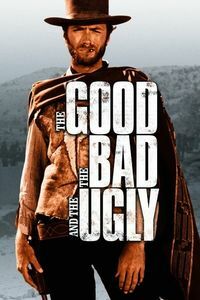 An expansive cap to a remarkable trilogy, The Good the Bad and the Ugly doesn’t leave viewers hungering for more. 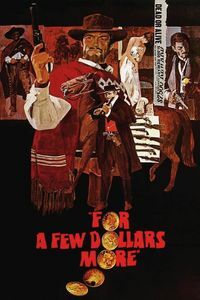 (On DVD, December 2017) The best thing about For a Few Dollars More in following up A Fistful of Dollars is adding Lee van Cleef as a foil to Clint Eastwood’s Man with no Name. Eastwood is terrific, of course, but van Cleef is just as effective in his own way, adding tension and even more spectacular machismo to this sequel (the sequence in which they duel over a hat is quite good). The budget also seems more generous, allowing for a more fully realized version of a Western shot in Spain by an Italian crew. Sergio Leone’s direction remains just as effective, but seem more polished than in the previous film. It helps that the script is somewhat more complex than the previous film, allowing for more than a simple stranger-comes-to-town paradigm. The climax works well, and the watch motif adds another layer to the film. Add to that Ennio Morricone’s score and you’ve got a strong follow-up to the original western, and a stepping stone to The Good, The Bad and the Ugly. 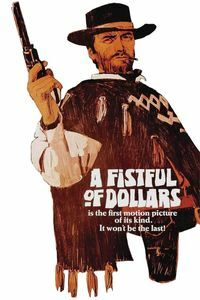 (On DVD, December 2017) Iconism doesn’t get any starker than seeing Clint Eastwood anchor this Sergio Leone Spaghetti Western in A Fistful of Dollars. As “The Man With No Name” walks into town to drive an archetypical plot, this is as stripped-down a western as you can find. There’s only the laconic hero, villains to be vanquished and innocents to be protected. A measly budget led to a laser-like focus on the film’s core strength, bolstered by Leone’s impeccably sense of style and Eastwood’s star-making performance. It certainly works as an exercise in machismo, explaining its enduring popularity even today. Numerous set-pieces help develop Eastwood’s legend as much as his character, including an improbable but strong climax featuring bulletproof armour. Leone’s sense of direction is distinctive even without much of a budget at his disposal, grand landscape shots eventually leading to expressive close-ups that have now passed into parody. Add to that Ennio Morricone’s now-familiar score (although without the “wah-wah-waaah” flourish, only present in the third film in the series) and you’ve got the making of a genre classic. It’s rough and crude, but focused and strong.